As a website design agency in Manchester, we have had the opportunity to help hundreds of businesses improve their website design and SEO. Along the way, we have seen some of the same website design mistakes again and again. We’d like to touch on those points and explain why these mistakes make a big difference in your SEO and overall online business persona. 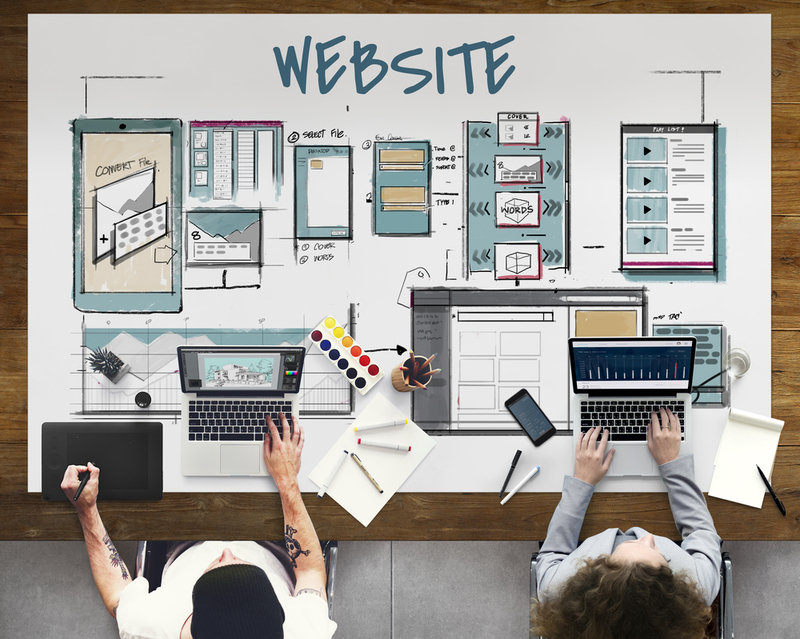 From making it difficult for your customers to buy your products to causing confusion about where to find necessary information, there are several ways you could be hindering your customer’s experience of your website design in Manchester. 1. Your Website Design in Non-Responsive. Responsive design is one of the most important features of your website. When you realise that responsive design makes your website accessible to double the audience, it becomes pretty clear why it is important. Today, people use much more than their laptop to search the web. In fact, more of them use their mobile device than a desktop. This means your website should be easy to use and access via iPhones, tablets, and Android devices. If it’s not, you could be in for a heap of trouble. Optimise your website design for all devices and Google will reward you. 2. Your website runs slowly. Another mistake is a slow running website. This isn’t the early 2000s anymore. People expect a fast loading website, or they will assume yours isn’t running properly and click off long before your page loads. A good rule of thumb is to have a loading time of under four seconds. In one study, Google discovered that 70 percent of the websites that took seven seconds or more to load had a higher bounce rate. Three seconds is ideal if you want to keep people on your website. While more complex, we as a website design agency in Manchester, page attention to these smaller details to ensure your website always loads quickly for your audience. 3. Using a bad font. Another area of concern with the design is in your font. So many people try to get artsy or creative with their fonts, but that’s not what your users want. Cursive, hand-drawn scripts, and symbols are difficult to read and bad for usability. Your number one goal should be to make the process of using your website easy on your user. Complex or weird fonts cause more problems than they are worth. Don’t confuse your visitors. Use a clear, simple font to communicate your message. 4. Your content isn’t about your visitors. Folks with little experience in content marketing often make the mistake of writing their content for the search engines, not for their audience. The content they produce doesn’t focus on what their visitors want, what their goals, fears, and problems are. The result is a decrease in credibility makes it impossible for your visitors to convert into customers and thus your SEO goes down and you never meet your goal. 5. Your content is difficult to read. Even if you have created good content for your audience, is it scannable? Many companies don’t understand the importance of scannable content in terms of design. Most people read about 30% or less of the content on your page. However, this does not mean you should reduce the word count on your page. What visitors are doing is scanning the page for the answer or the piece of information they want to read. Make your content scannable in a design format and your bounce rate will decrease. Use short paragraphs, descriptive subheadings, highlight and bold where necessary, and get into bullet points for a better content layout. 6. Navigation they cannot control. You might not think about navigation when you set up your site, but when it comes to website design in Manchester, we do our best to develop websites that are easy to navigate. Animated navigation tends to be popular with folks who like a flashy design, but your audience hates it. That’s because it makes the process of navigating your website more complicated than necessary. In fact, most people abandon sites that have difficult to understand navigation. Opt for more easy-to-use navigation for a better response. Human beings are visual creatures. That’s why bad photography is awful. This includes generic stock photography. Outdated or odd stock photography can confuse your audience and distract from your messaging. Photography that makes sense with the content on the page and enhances the messaging is what you’re looking for in terms of design. Photos should reinforce your brand, but generic stock photography can zap any good energy you may have going in your favor. If you’re ready to avoid these mistakes in your website design in Manchester, then give us a call. Our website design agency in Manchester has successfully helped countless businesses vamp up their design and we’d be happy to help you too.